Meet Henry Wellcome. 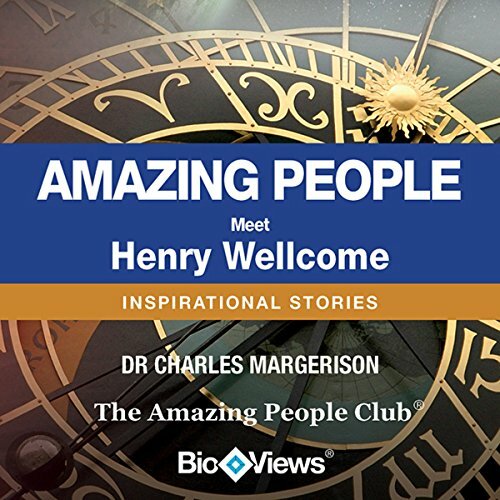 Discover his amazing life story in this unique audio story from The Amazing People Club. He may have saved your life with the medicines he developed and produced. Henry willed his entire fortune to further development and research to The Wellcome Trust, which is one of the largest biomedical charities in the world. Travel with Henry Wellcome from the log cabin in which he was born in Wisconsin on his epic journeys around the world, driven by his thirst for knowledge and insatiable curiosity. Henry Wellcome's story comes to life through BioViews®. These are short biographical narratives, similar to interviews. They provide an easy way of learning about amazing people who made major contributions and changed our world.